Hydroxycut is a weight-loss supplement made of patent-protected components that promises to increase your level of energy, boost your calorie-burning rate, and ultimately support any weight loss plans. This diet supplement first came out in the late 90?s and immediately became huge in the weight-loss products arena. Unfortunately, after discovering the negative and even fatal effects of ephedra, a component in Hydroxycut original formulation, the diet supplement has been recalled. After months of reformulation, the new Hydroxycut came out. Years went by before consumers began filing cases against the manufacturer claiming that the product caused liver damage. The company voluntarily recalled their product and reformulated once more. The new mix now claims not only weight-loss benefits but also muscle building features as well as toxin cleansers and digestion aids. 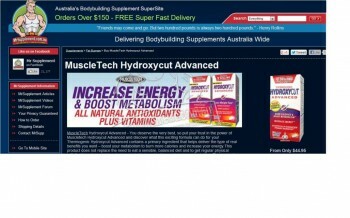 Can Hydroxycut live up to its own hype? Let’s do a realistic Hydroxycut Review and find out! The diet supplement has three main ingredients, the first being GarciniaCambogia. This ingredient has two functions: inhibiting the need and desire to eat and suppresses lipid synthesis. The product also contains green tea extracts that provides the consumers with caffeine, which delivers sudden energy boosts, and EGCG, an antioxidant. Green tea is also known to promote thermo-genesis in the body, creating heat that burns more calories. 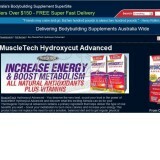 Hydroxycut also contains GymnemaSylvestre. Known for its anti-diabetic qualities, this component inhibits sugar cravings. Looking at the ingredients, one should expect that the diet supplement will cause a significant decrease in one?s weight. It promises to increase one?s metabolism. This means that the body expends more calories and breaks down fat faster. Additionally, because of the GarciniaCambogia, fat should pass through the system without being stored. 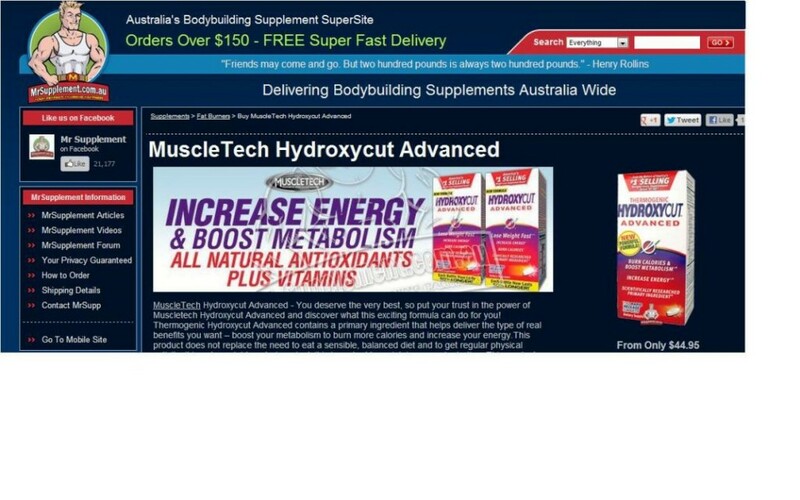 Several Hydroxycut reviews also claim that users experienced significant increase in energy levels allowing them to perform higher-intensity workouts without feeling worn out. Is HHydroxycut worth a try? If one will base his or her opinion about Hydroxycut on its history, trying out the supplement might appear very risky. Upon seeing the list of side effects, the hesitation increases. Many online Hydroxycut reviews appear negative, claiming that the weight lost while using the product is not worth suffering through the harmful side effects. Additionally, upon checking the manufacturer?s website, using the product has so many restrictions. It cannot be used if the person has been treated for or has a family history of diabetes, liver or kidney disease, cardiovascular complications, is currently using over-the-counter or prescription drugs, and so much more. It cannot be combined with other products that contain caffeine such as colas, teas, or coffee. Since there are a lot of other diet supplements out there, it may be smarter to consider the alternatives rather than risk using Hydroxycut. Seriously, I don’t recommend this stuff. It makes you sweat profusely. Take it from me! I was so embarrassed during a meeting because my dress almost looked like it was drenched on water. And worse, it can also cause an increase in heart rate. One time, I was wondering why I felt uneasy that time. My heart felt like it was racing. It turned out that it was one of the side effects in using this. I decided to switch to another one because I was already getting unhappy with it. I was quite interested to use Hydroxycut Advanced before since it really seemed effective in terms of losing weight. However, my doctor warned me about this product because he already knew some people who have experienced some adverse effects such as palpitations, sleeplessness, depression, and even pimple breakouts. So in conclusion, I think he was implying that I should just opt for another weight-loss product. Well, I’m just sharing what my doctor had told me. It still your choice anyway. I wasn’t expecting anything at all. But after a couple of weeks, I checked my weight again and I was surprised that there were really some improvements. Since I wasn’t working out at all, I just lost like 3 to 4 pounds. However, it was a good result for me already. Because of that, I decided to continue using it. As for the side-effects, there were times when I experienced some palpitations and sudden dizziness. But after a while, I got used to it. And eventually, I was able to lose more than 15 pounds after two months. The result was indeed amazing. So piece of advice: don’t be so gullible right away. Take it from my experience; I didn’t really know that this product was effective because of the negative reviews. But since I gave it a chance, I was able to find out that it actually a great product. In my personal opinion, Hydroxycut actually works. However, the side-effects are quite grave at all. So if you’re the type of person who?s very sensitive, don’t ever try this one. It took me almost a month before I could tolerate every effect but I guess my hard work and patience paid off because I’m actually slimmer now compared to my body three months ago. I used Hydroxycut Advanced and it triggered some side effects. I thought it all right for me to take this pill despite the fact that I have a history high blood. I was confident that it wouldn’t affect my health because I just like to give this one a try. I would like to consume a bottle and check if I will lose some wait, but instead of losing weight, I felt that my blood pressure tend to increase every time I drink the pill. I do not want to put myself in trouble, so I stopped using Hydroxycut Advanced. I then realized that this could lead to a more serious problem if I pushed my health to the limit. I better try looking for another alternative, because this pill is somehow costly. It is not as practical as other pills do. If you are budget conscious, better check other products that give the same benefits.